Don’t forget that we have events at the Museum too! We’re not all about workshops, art, and 10 Carden. We also have musical events at Guelph Museums! Did you enjoy the colouring party we had back in January? What about the workshop we held in February? If you answered yes to both of those questions then you’ll love one of our upcoming events for April. 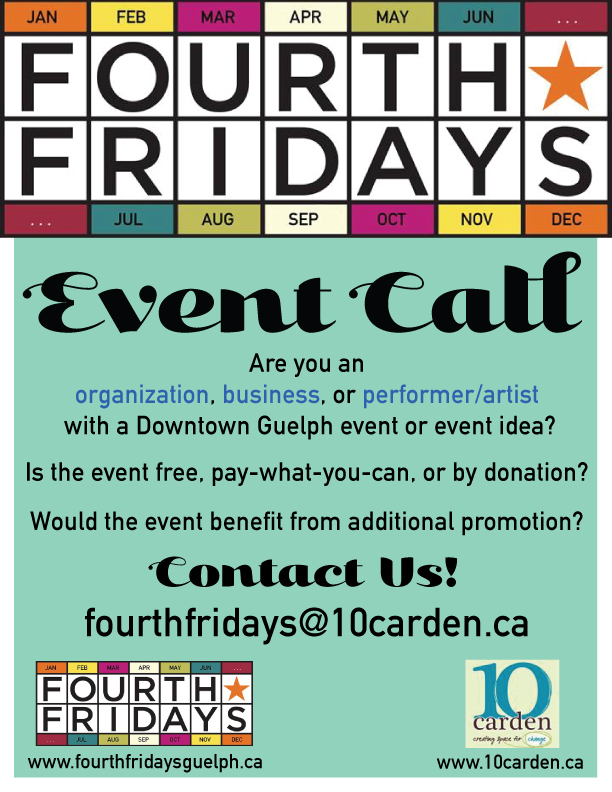 Fourth Friday’s is back and ready to showcase the creative talents that this city has to offer! 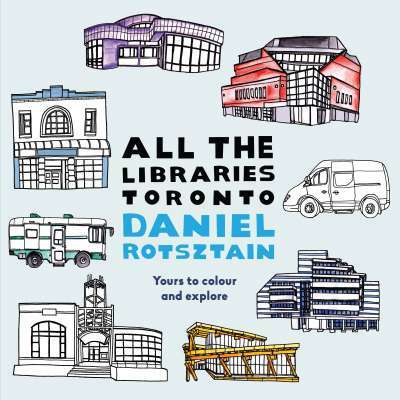 Come out to 2016’s inaugural event as we join local writer and artist Daniel Rotsztain who will be hosting a colouring party for grown-ups… I mean these kinds of books are all the rage these days, right? But it’s more than just that for Daniel. Get crafty and attend a Bear Boards show! 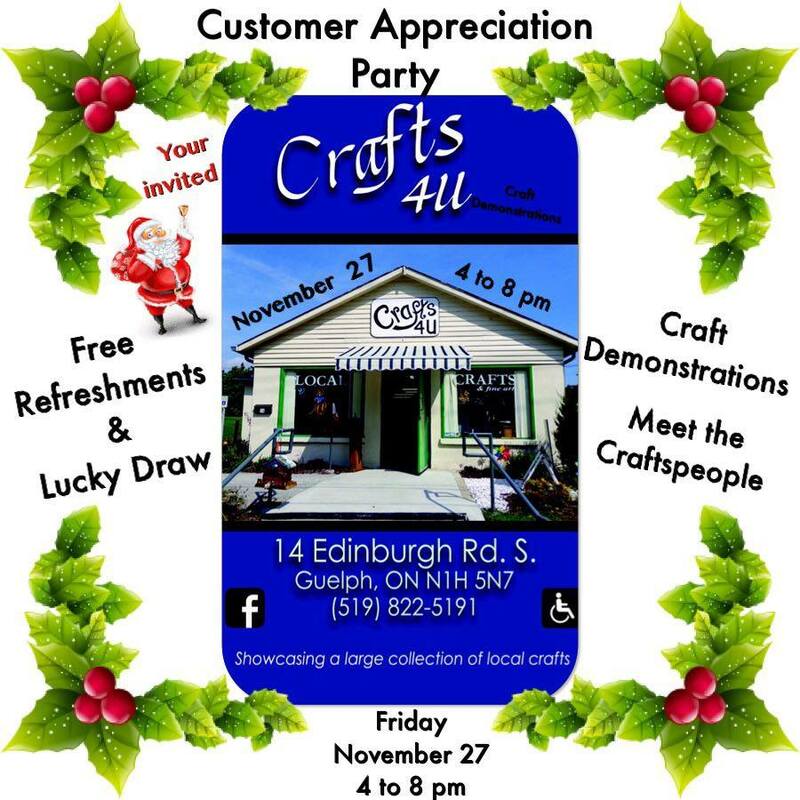 Crafts 4 U wants to say a big thank you to all of their loyal customers and Bear Boards is having a show! Are you an organization, business, or artist with an event idea? Calling all musicians, artists, and performers! We want the city of Guelph and its residents to know about your creativity. 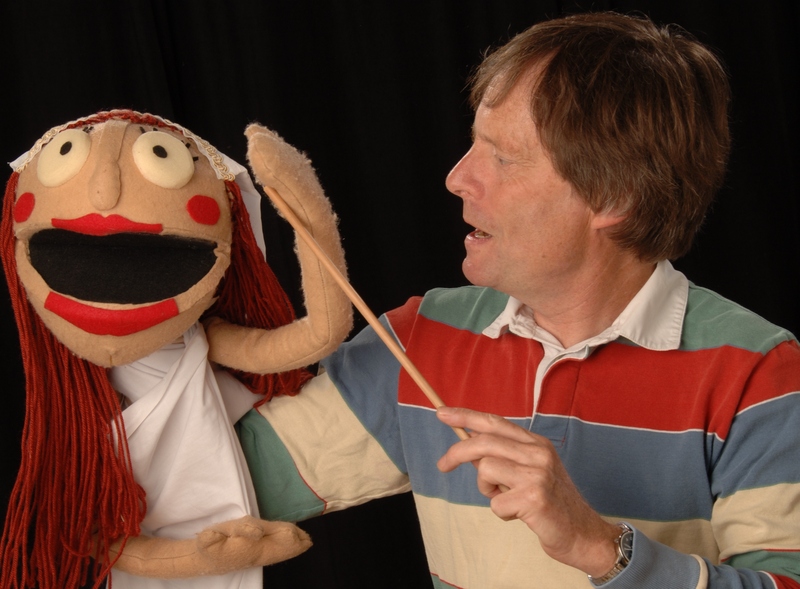 Puppets aren’t just for kids, come and find out! Never been to a puppet show? Now’s your chance to finally attend one! 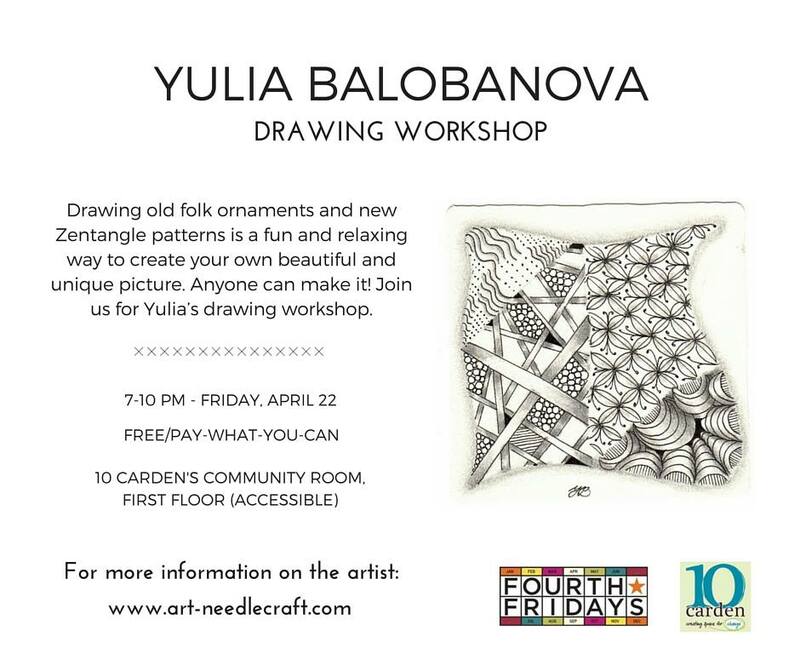 Don’t have anything to do at the end of this month? Want to know what July’s Fourth Friday event is? Read on to find out more. July’s Fourth Friday’s event series is finally here. Yay! 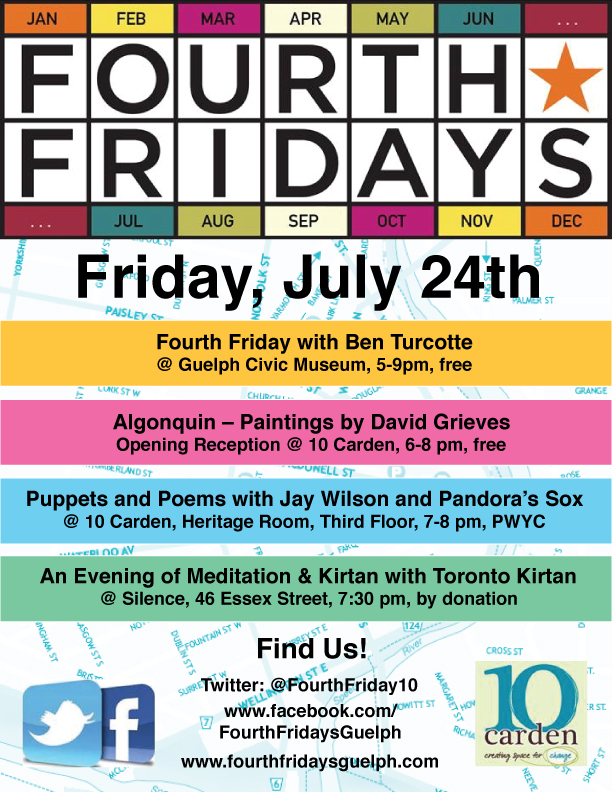 Ben Turcotte is giving a free performance at the Civic Museum from 5 to 9 pm on July 24th as part of the Civic Museum’s Fourth Friday series. 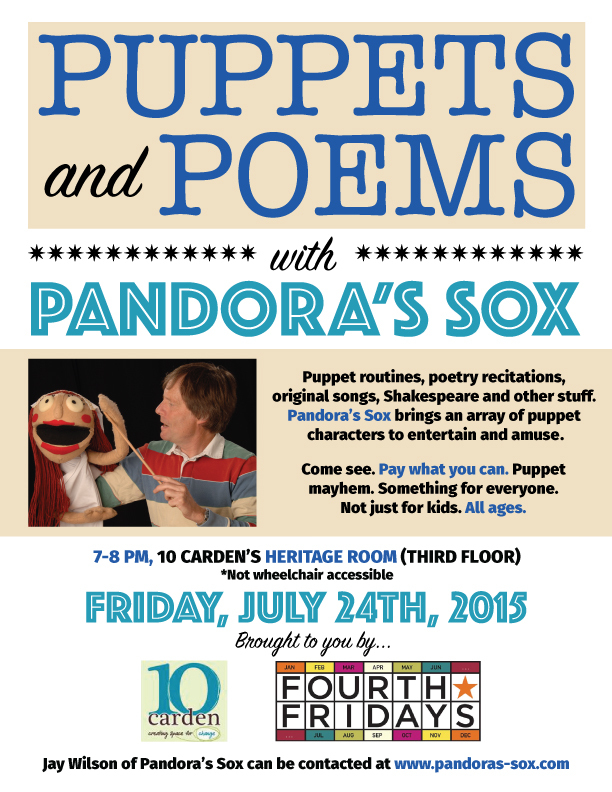 Fourth Friday’s is also for the kids!